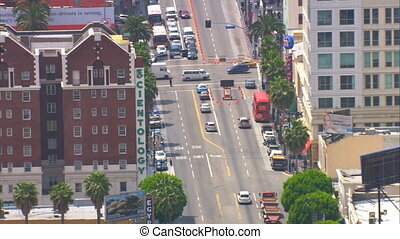 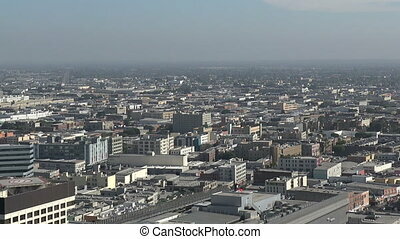 Los angeles aerials. 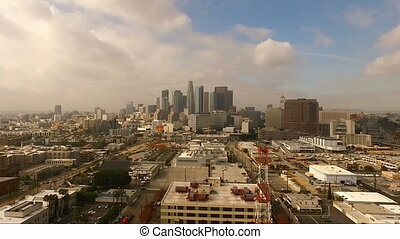 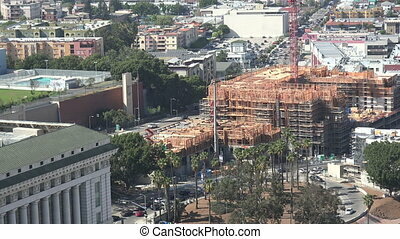 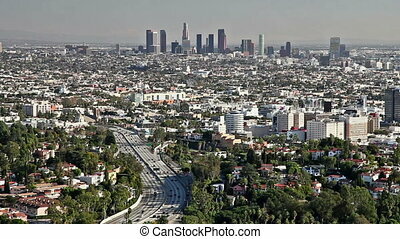 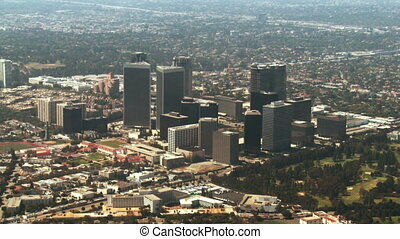 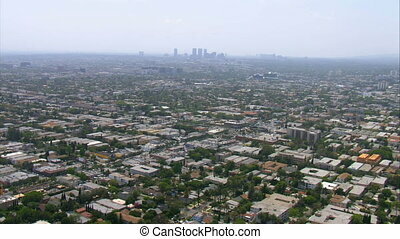 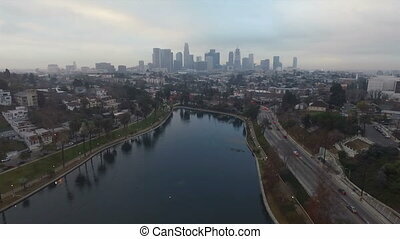 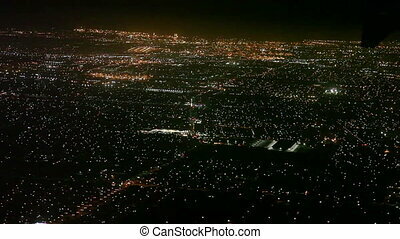 Aerials of los angeles and surrounding neighborhood. 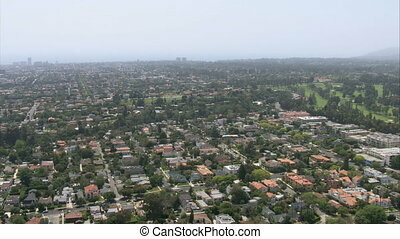 Aerials of Los Angeles and surrounding neighborhood. 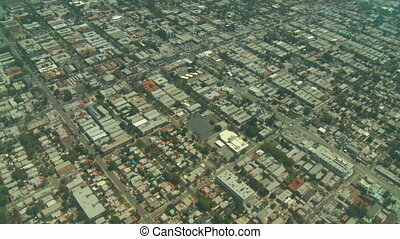 Flying over Hollywood in Los Angeles, California. 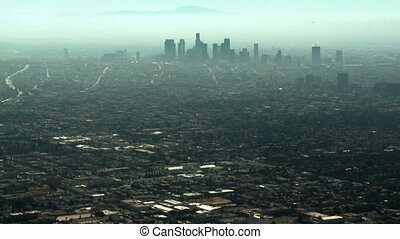 Smoggy aerial view looking towards downtown Los Angeles, California. 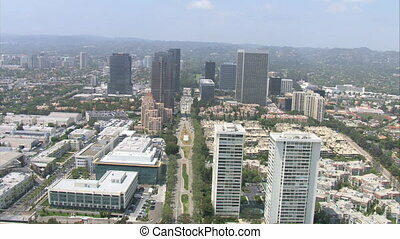 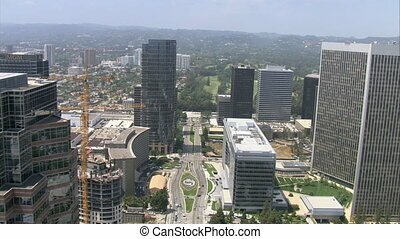 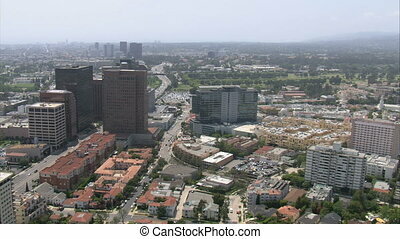 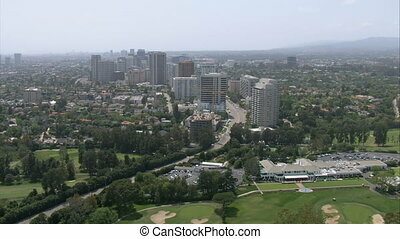 Flying over Century City in West Los Angeles, California. 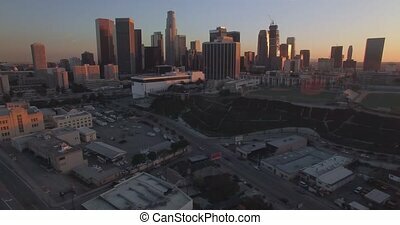 Aerial 4K sideview pan footage of downtown Los Angeles during sunset/sunrise with clear skies and minimal traffic. 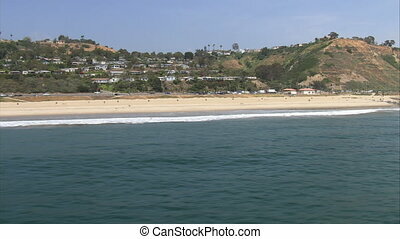 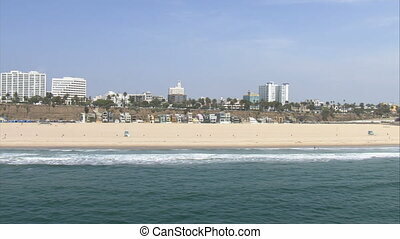 Santa Monica Beach, Los Angeles, California. 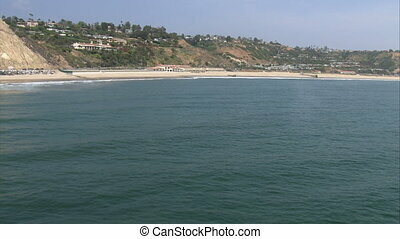 View from the pier on Santa Monica. 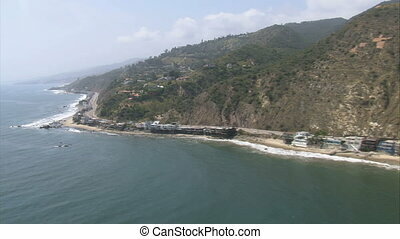 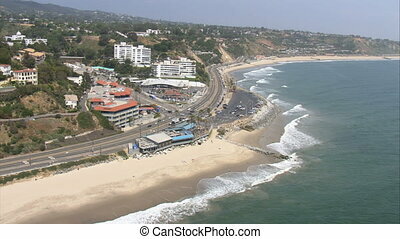 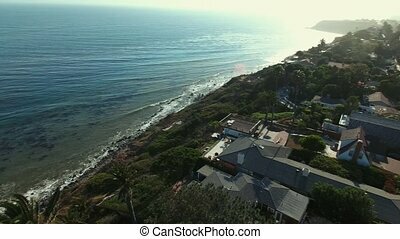 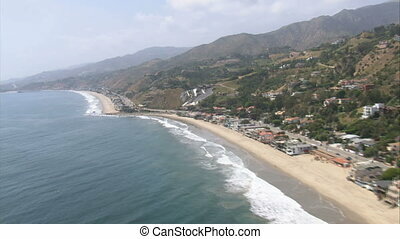 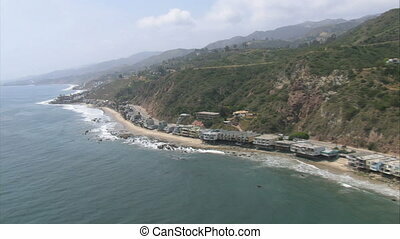 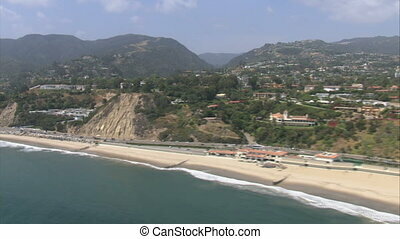 Aerial view from the Pacific Ocean on Santa Monica Beach. 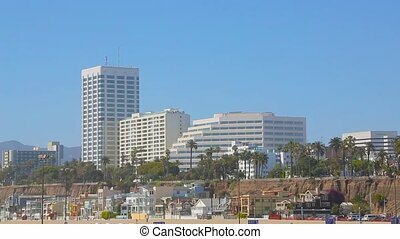 Hotels on the coast of Santa Monica on a bright sunny day.